Lucy Hale may be best known for playing Aria on the hit series Pretty Little Liars, but she almost got her big break in The Twilight Saga instead! "I auditioned for [the role of] Alice," Lucy says. "I read the books and I wanted to be part of the first movie so bad." 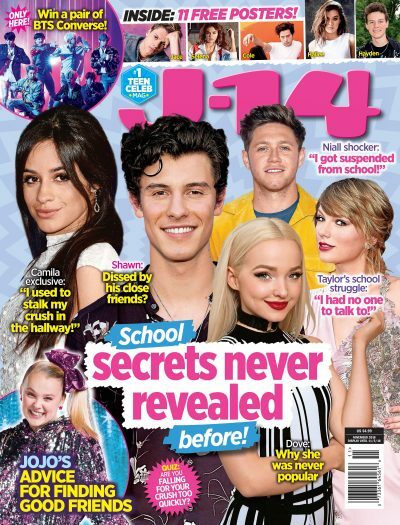 SEE IT: Lucy's J-14 video, "When I Was 14…"
The role ultimately went to Ashley Greene, but Lucy didn't give up on her vampire dreams. "I heard about this new role, Jane, who was going to be a part of the second one, and I went for that," she says. But, alas, Dakota Fanning was chosen to play Jane instead. Still, Lucy has no hard feelings, and remains a total Twi-hard. "I love everyone they've cast," she says. "I'm such a believer in everything happens for a reason and it's all about timing. I like where I'm at right now!" Do you think Lucy Hale would have made a good Alice or Jane? Or do you like her best in human roles?